I have lusted after those things for years...the F450 version is too big for my purposes: I actually have been to the factory got to see all there products. I've been tent camping since 1970s. Best part is being able to zoom around dodging weather at speed. Everything packs into the 911 fine. 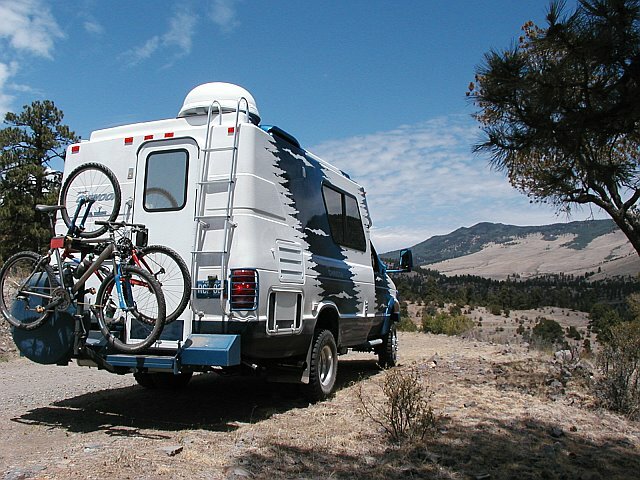 that said i do now need a roving camper and started asking older diehards I'd run into what is the best rig they like and why. 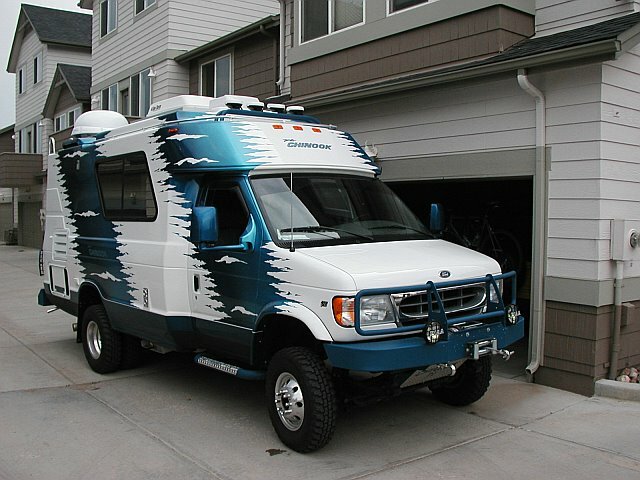 Chinook Baja wife and I had before kids. Last edited by mikeferg75; 04-24-2011 at 07:07 AM.. 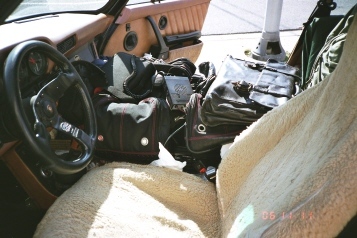 I spent every summer from 1975 to 1981 as a white water rafting guide...for my personal stuff (hygiene, bag, clothes, netting/tarp, foam, etc) I lived out of a waterproof bag for days at a time. It was Army surplus with an inner membrane that rolled at the top and was then covered and secured by a canvas outer-shell, two feet long, eighteen inches or so width and about eighteen inches high. I wish I still had it. Also had a 50 cal ammo can for daily stuff on the water, which was strapped down: sunglasses, hat, suncream, prophylactics, etc. I averaged 5 days a week on the water from May through the end of August, beginning of September. On off days and in the fall and spring I hiked and backwoods it a lot. I get it. Those days are over, except a three day trip I do with my son every year, he of boundless energy. He plans it, I walk it, mumbling...we stay Vegas style, three days, two nights. Get what Motion recommended...I wish they had those things 10 years ago. Next summer, he can day hike all he wants while I fiddle. 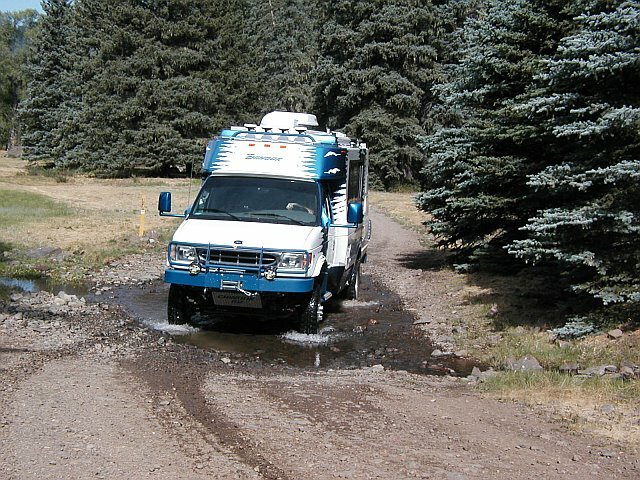 Last edited by Seahawk; 04-24-2011 at 07:54 AM..
We went to the Overland Expo in Amado Az. a couple of weeks ago. There were a lot of nice rigs. The rooftop tents are nice and sell for $2200.00 for the xl. Earthroamer and Sportsmobile were there as well as a lot of Land Rover 110s. A lot of expedition folks are there giving seminars. There was a couple from Germany with a really nice Unimog camper. Turtle Expedition was there also. It's a great place to meet and talk to people from around the world. We look forward to going again next year. Yesterday we looked at a Jayco pop up that had dual axle. 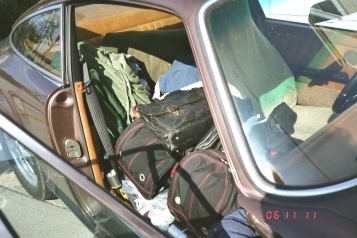 It had a lot of room and was fully loaded. There is a nice one for sale in Phoenix but we were not able to go look at it this weekend. 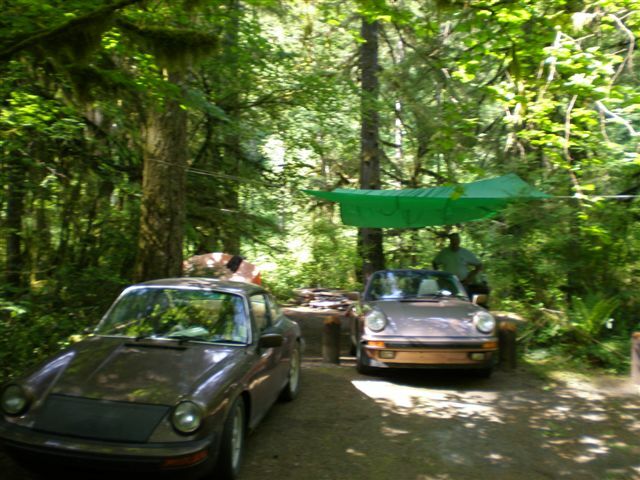 My wife actually wants something smaller like a pop up so I'm keeping the 911. We need to have a receiver installed on her Odyssey but I have a '72 Chevy truck that I can use to tow something home if we find it. I looked up the specs on the Odyssey and it will be able to haul the trailer, canoe, and gear. They recommend a transmission cooler so will also have one installed. My wife and I just bought a new Forest River 22ft Mini Lite last month. I can tow it behind my 4Runner and we love it!